An entry level class that teaches basic skills and challenges elementary students with new skills. 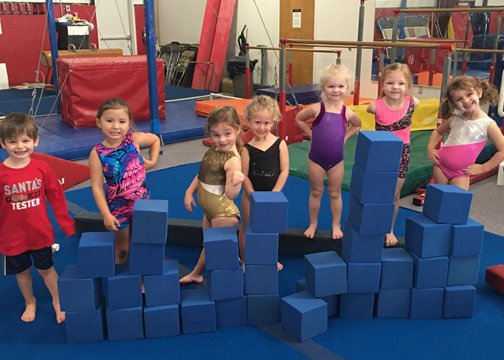 Basic skills taught include cartwheels, handstands, rolls, vaults, bar skills, beam skills, and trampoline safety and skills. A more advanced class for elementary students. 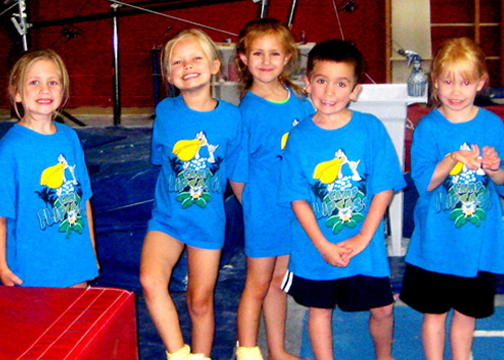 Gymnasts should be able to do cartwheels, handstands, rolls and basic bars, beam and vault skills. Previous gymnastics experience and instructor recommendation required. The skills taught will be similar to the Elementary 1 & 2 classes with progressions designed for middle school age children. More advanced skills will be taught as the student progresses.